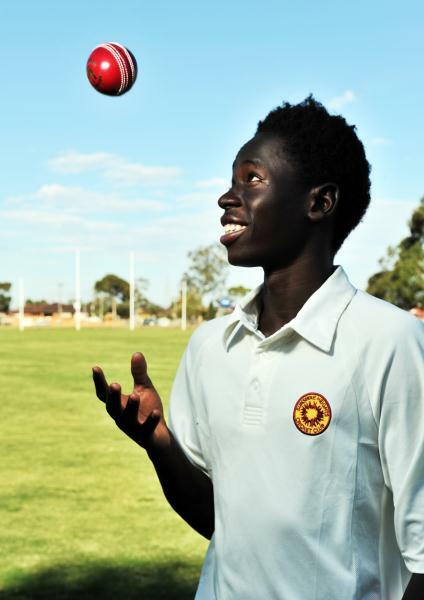 SUNSHINE Heights Cricket Club was recognised last week at the 2014 Brimbank Sports Awards. The club received the award for Club of the Year and one of their players Akon Mawien received the award for Athlete of the Year. Director of coaching at Sunshine Heights Mathew Shawcross said it was a great reward for the hard work and commitment of everyone at the club. “Its just as rewarding and satisfying as winning a premiership,” he said. Mr Shawcross said part of the club’s philosophy was being an inclusive community club and one of their programs included helping new arrivals get into sport. Akon Mawien was one of the first players to join as part of the program, when he was only about six years old, in 2005. “We are very much community based and we want to be able to provide an environment for people of all backgrounds and religions to be a part of,” Mr Shawcross said. “We are extremely proud of Akon’s achievements from a sporting perspective but we are even more proud of the person he has become,” he said. The club’s achievements also include the introduction of a Girls Cricket Program in partnership with Mother of God Primary School and launching a DVD resource with the support of a Brimbank Community Grant highlighting the benefits of the inclusive approach the club has taken.